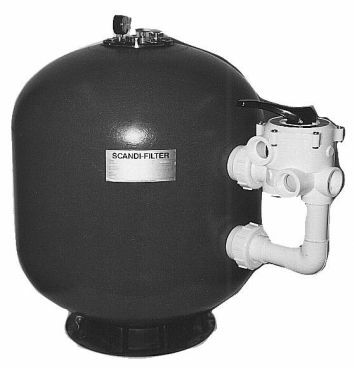 Filtration in any spa or swimming pool is extremely important. There are many options available. Allow us to help you to find the best possible solution to meet your specific needs. Sand filters with side-mounted multi-port valve, made in fibre glass. Operating pressure: 3.5 kg/cm2. 17204211 TR40, Ø480 mm - 0,17 m2, connections: 1½"
17206211 TR60, Ø610 mm - 0,29 m2, connections: 1½"
17210211 TR100, Ø762 mm - 0,45 m2, connections: 2"
17214211 TR140, Ø914 mm - 0,64 m2, connections: 2"
Sand filters with top-mounted multi-port valve, made in fibre glass. Operating pressure: 2.5 kg/cm2. Max. operating temperature 50° C.
17220411 TA40, Ø480 mm - 0,17 m2, connections: 1½"
17220611 TA60, Ø610 mm - 0,29 m2, connections: 1½"
Filter glass. If you are interested, please contact us for further details. Connections Ø50 mm bonded unions. NB: Bonds are made directly on the filter housing using Tangit adhesive. Micro filter for very compact installations. Integrated by-pass. Operating pressure max. 3.5 kg/cm2. Connections: Ø48 mm. 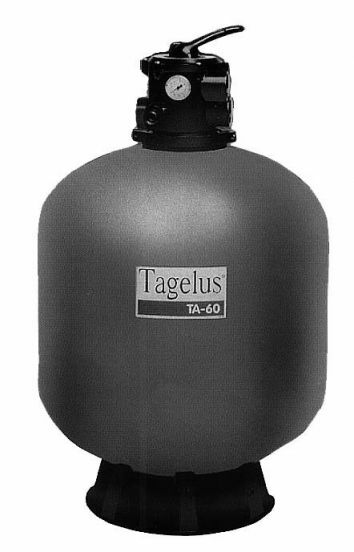 NB: Bonds are made directly on the filter housing using Tangit adhesive. We also stock a comprehensive range of cartridge filters at very competitive prices.